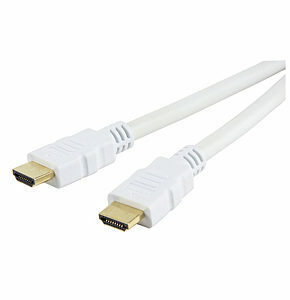 20 Meter White HDMI Cable - Sharpview Gold, White HDMI for HDMI 1.4 / 1.4A. White HDMI cable 20 meter, high quality hdmi cable for transferring, uncompressed digital video, audio and control functions. Supports Full HD 1080p, 3D, suitable for HDMI 1.4 equipment and backwards compatible with older versions. 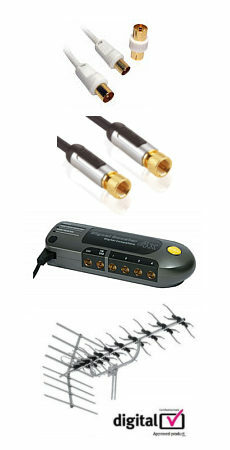 Supports Audio Return Channel ARC. This 20 meter white hdmi to hdmi cable is ideal for connecting your HD equipment to your TV, it will provide perfect picture and sound at a bargain price, our Sharpview Gold range of white HDMI and digital leads produce perfect pictures at discount prices. All cables are RoHS and CE compliant. 5m Newlink 4k HDMI Cable with Nylon Braided Jacket Suitable for HDMI 1.4 and HDMI 2.0 equipment, backwards compatible with older HDMI revisions. Supports 4k x 2k, 1080p, 3D and ARC Gold plated contacts Metal body chrome effect plugs for enhanced shielding and durability. Nylon over braid to enhance durability Length 5 metre.